Samantha or "Sam", has a rough childhood with her father dying in an earthquake and a new stepmother with two awful stepdaughters. But on the bright side, Sam has an awesome best friend named Carter and an email relationship with a guy named Nomad. One day, Sam gets an email from her Nomad saying that he wants to meet her in the middle of the dance floor at their high school Halloween dance. She accepts the invitation and glides into the room wearing the best outfit ever! Her Nomad takes her outside where they share a romantic dance together and Sam realizes that her email friend is the most popular guy in school, Austin Ames. She runs back to her stepmother's diner before she knows she went to the dance and drops her phone on the way. 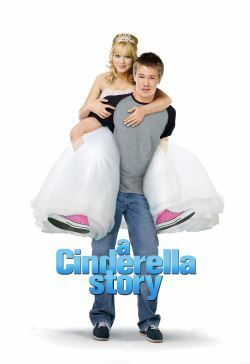 Austin finds it and starts a search for his Cinderella.